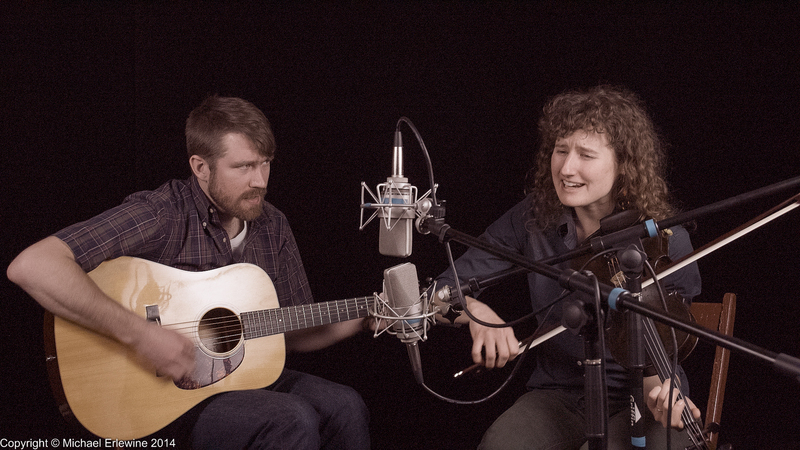 One day (and a half a terabyte of disk storage) later, my son Michael (also a photographer) and I finished our video interview with Red Tail Ring, the singer/songwriter duo of Laurel Premo and Michael Beauchamp. Red Tail Ring is part of the Earthwork Music Collective here in Michigan, a group of musicians who work together in supporting the community and one another. As someone who came up in the 1960s, I am always on the lookout for communal (alternate community) projects that actually work. I have seen (and participated in) a lot of disasters, for sure, so I continue to be impressed by what this group of thirty or so musicians have achieved personally, and what they bring to the statewide community. Earthwork Music is why my son Michael and I are busy with this documentary film "Wellspring: The Michigan Music Project" (or some such title). And it is not just the Earthwork folks, Michigan has been a fertile source of music for many decades, and much longer. And so, one by one, we are interviewing not only the Earthwork musicians, but many of the outstanding players around the state. Yesterday the work started for me in the wee hours of the morning, but by 9 AM or so Michael and I were down in the studio working out the details of the day's shooting. The end result will be a video we all can watch, but the actuality involves a sea of cables running everywhere, not to mention heavy light stands all around. And all of these wires and plugs and lights and cameras have to seamlessly work when we press the 'record' button. In this case we were doing a two-camera shoot using high-end broadcast quality cameras and storage-eating codecs (file compression). It takes about 8 gigabytes of space to record two-and-one-half minutes of footage for two cameras. Sometimes I wonder how I manage to end up in the middle of the most complicated technical situations, but here I am, once again up to my ears in detail. Go figure. By 10:30 AM or so we were interviewing Red Tail Ring, both Laurel Premo and Michael Beauchamp, individually, and then together as they played some very lovely music for us. This went on until, I don't remember exactly, but something like 3 PM, when Michael and Laurel had to get ready to hit the road to Traverse City for a gig last night. It was an honor to work with Red Tail Ring and to hear their lovely music. Our interview and the songs they sang for us will take quite some time to edit and finish, but if you want to hear how they sound right now, this YouTube link will give you a taste.